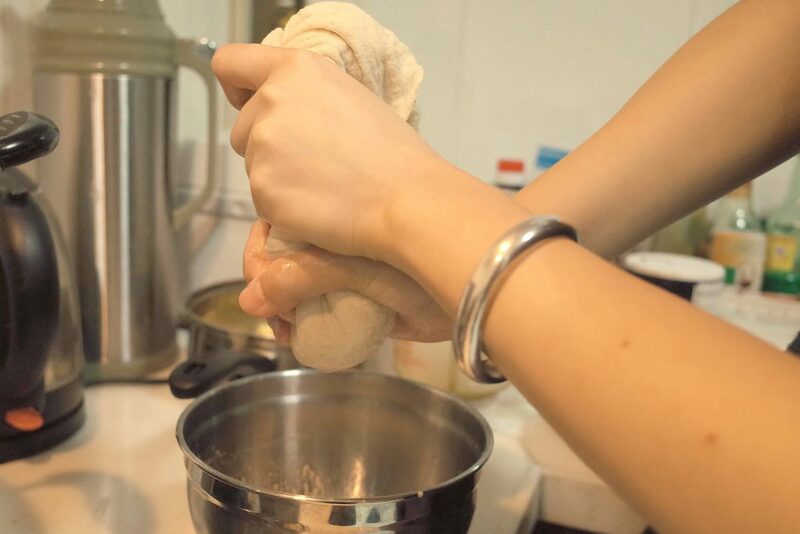 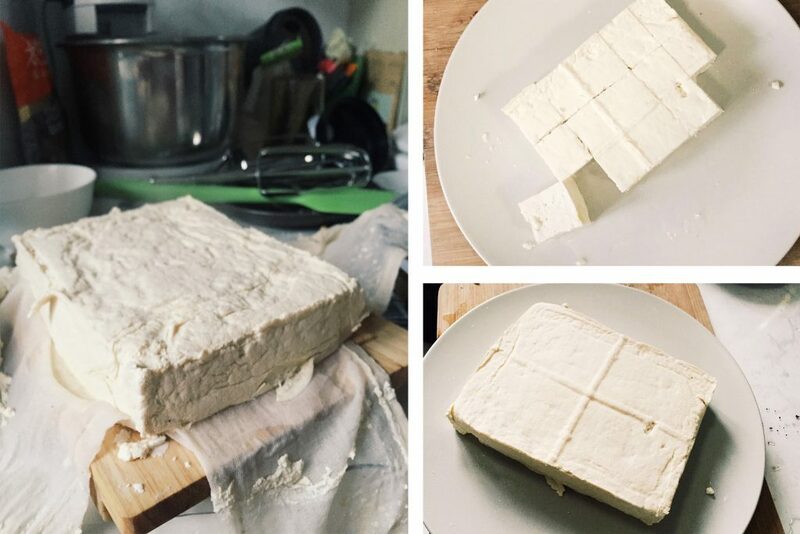 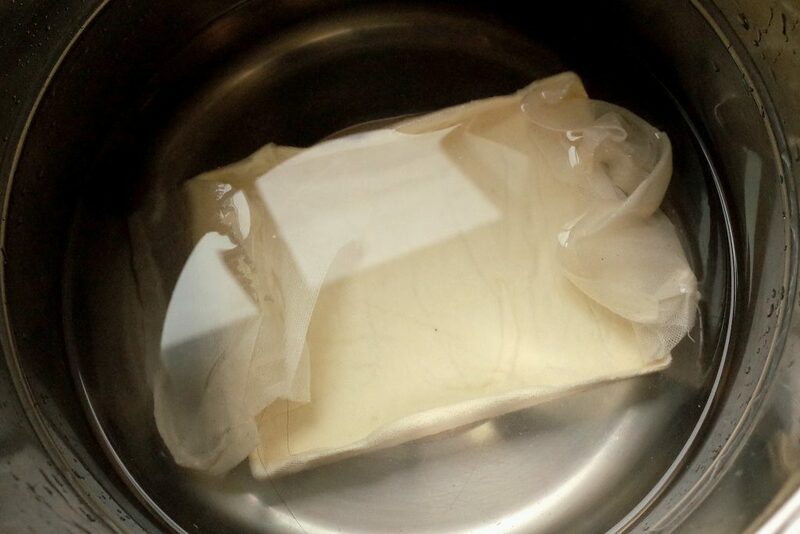 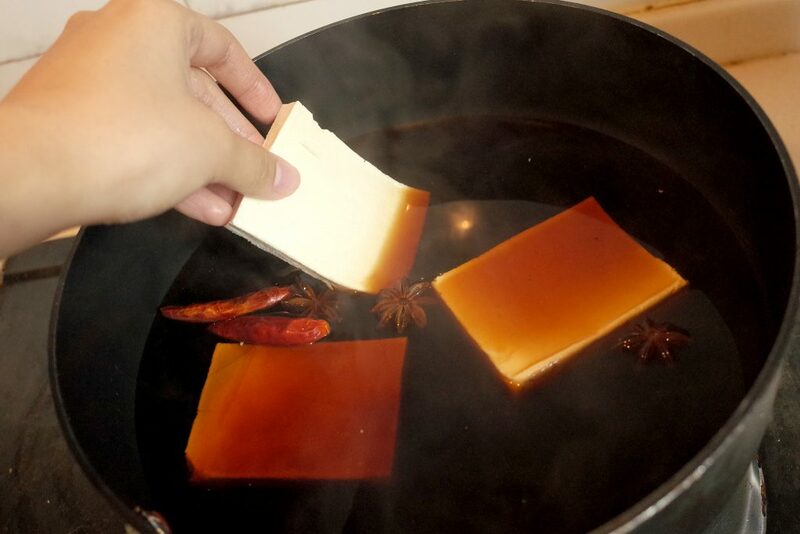 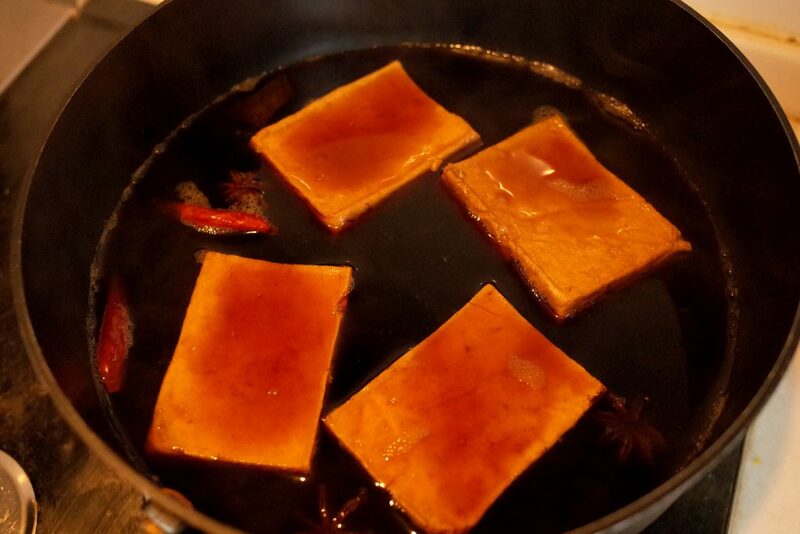 Following the classical recipe of making tofu, I also tried my own one at home. 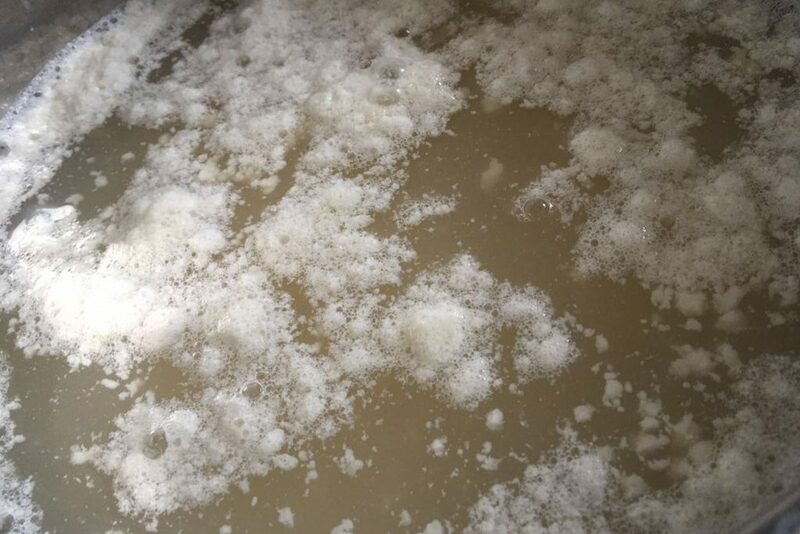 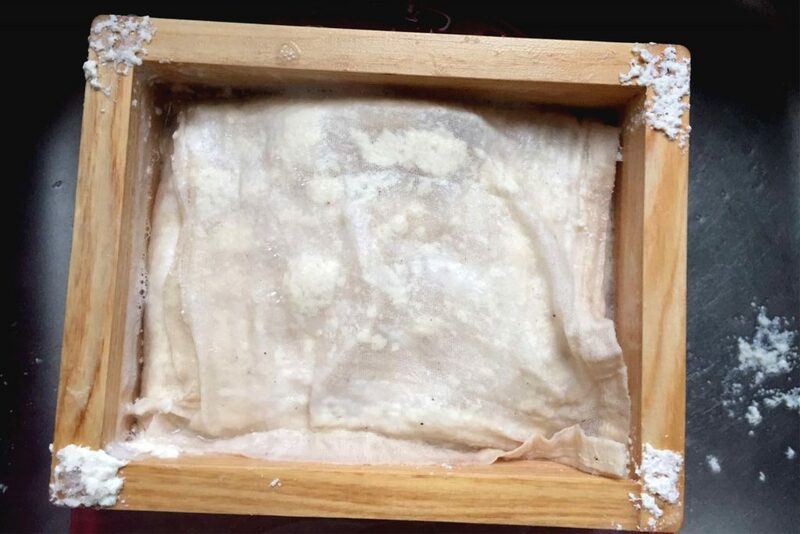 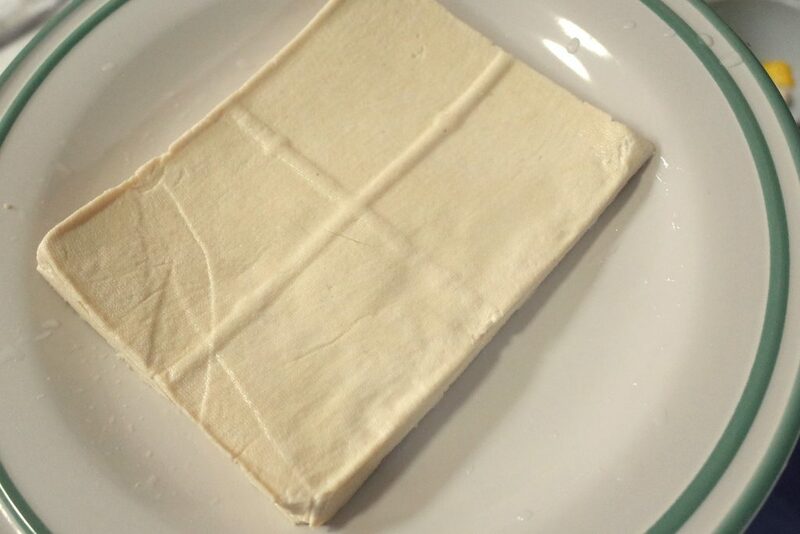 Coagulated protein packaged by filter cloth been put into the mould, press with a wood cover. 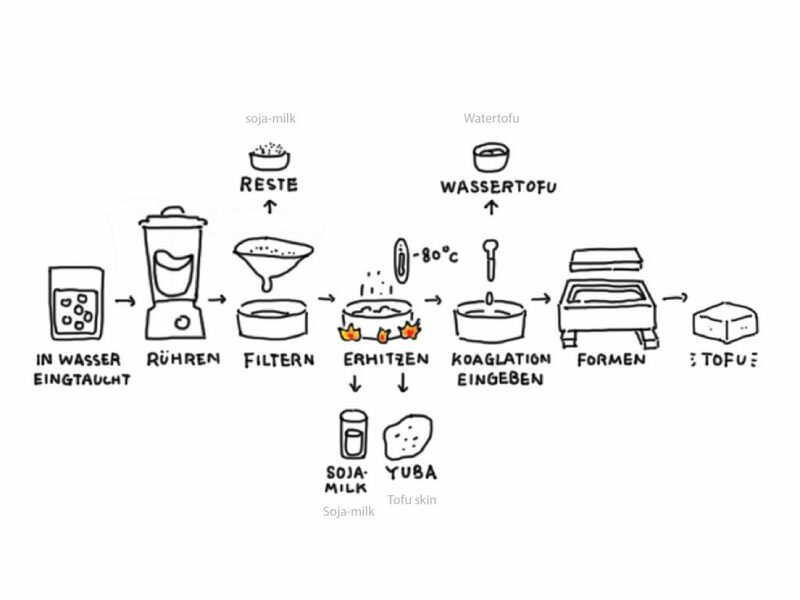 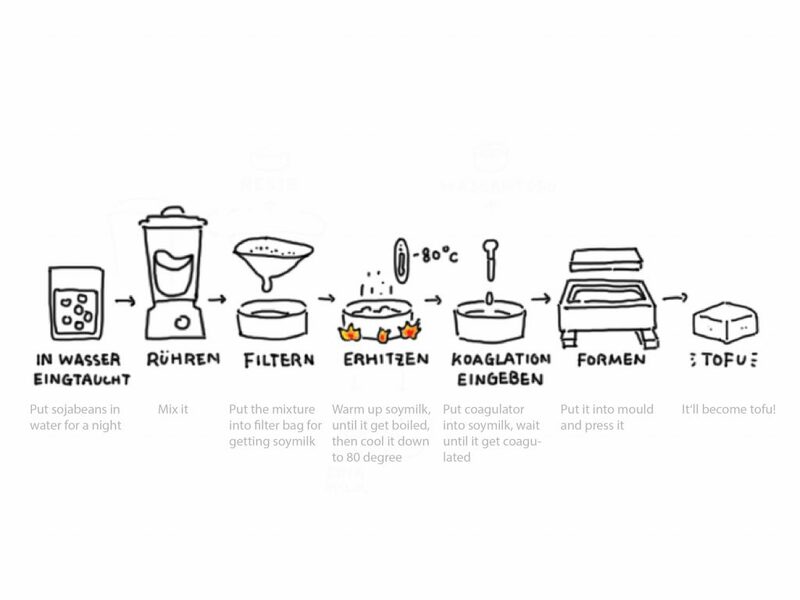 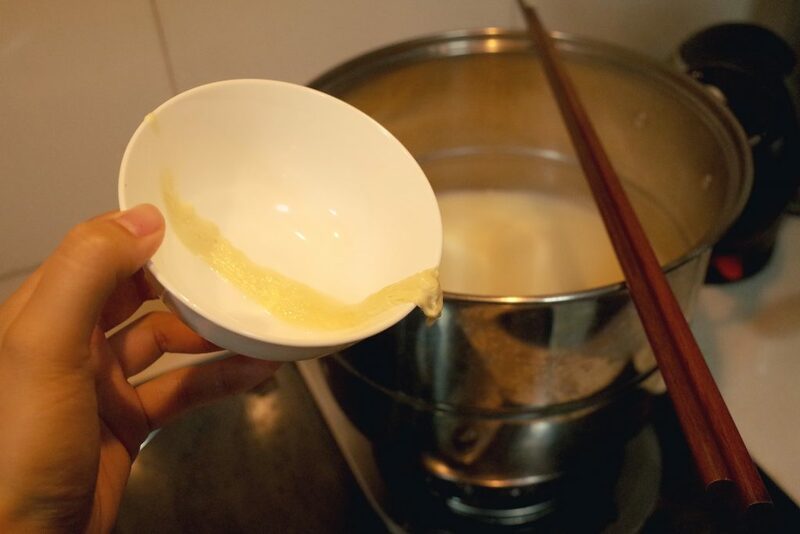 Some bi-products which derived from the process of making tofu.